The ever-expanding world of digital music products can be overwhelming at times. With so many choices of professional-grade instruments, effects, and utilities on the market and more being released all the time—as well as sub-par examples—it seems that some developers and brands release products relentlessly. Because of this high-velocity culture, the lesser-known companies that also make great products can get overlooked. The task of surfacing the commendable organizations, big or small, making useful and inspiring modern tools is part of my mission managing and curating the digital business at Reverb. In doing so, I have discovered a few ways to assess value in a commercially released digital product, which has helped me to locate the signal through the noise of the vast and fascinating world of digital signal processing. First, let’s define what a truly great digital music product is. Here’s a list of requirements or qualifiers that are common threads among many standout and benchmark releases. In an attempt to not catch the “paralysis by analysis” bug, I want to suggest one overarching guideline about production concepts (mixing, mastering, sound design, etc.) and some other guidelines about brand and product discovery (manufacturers, organizations, compressors, reverbs, etc.). My first suggestion is to concentrate on a couple of audio engineering or sound design concepts and really discover as much as you can about particular processes. Learn the ins-and-outs of compression, spatial processing, or equalization. Just because you’ve heard that a particular plugin is the best EQ doesn’t mean it’s going to be the best EQ for your needs. And you won’t know your needs until you understand the concepts. Concentrating on just a few elements you want to learn and staying organized will help with your progress. While Reverb News and many, many other sites across the internet share boundless amounts of knowledge about recording, mixing, and mastering, there are also digital learning courses out there that may accelerate your curve. A great starting point for the discovery music software products is to look for brands that have been at it a long time and have developed at least one or two products that are considered industry standards. These ubiquitous household names are a pretty reliable resource when it comes to not making excellent software, and, importantly, customer support. They actively update their software products with fixes and enhancements. But you shouldn’t only trust well-known brands. To find up-and-comers, be on the lookout for brands that have been hitting home runs since they started, regardless of product release intervals. Big players are able to release plugin after plugin after plugin at a rapid pace—and they can recover from duds with their reputations largely unharmed. Because smaller companies don’t have that privilege, consistency—not quantity—is what matters here. If a brand doesn’t have a large catalog of product offerings, but the few they have are high-quality and well-respected, that’s a good sign. This just means that they want to take the time to develop great new products, and not just dilute their brand value. A third method, which I know seems obvious, is asking your friends and colleagues for recommendations and what they are into—but keep the earlier suggestions in mind. Ask them about how they use specific concepts and what brands they’ve found most reliable. For example, how do they like to compress vocals compared to compressing drums? They’ve likely found different compressors they favor for different purposes. Ask about what brands they’ve found that are consistent, that offer support and updates, or that approach a process in a way completely unique from another company. I have discovered countless products, tips, and techniques in this manner. An endorsement from someone I respect is best product marketing campaign there is. Just concentrating on a few concepts and a few products at a time will allow for your creativity to be on full display. Learning to do the most with the least is the gift that keeps on giving. Not only will this teach you to be a more resourceful music maker, it also assists in familiarization and retention of fundamentals. Then, you can progress to more advanced concepts of synthesis, audio engineering, and music production, while not feeling the pressure of having to tackle everything at once. When you are ready for your next concept or next purchase you will have a better understanding of the fundamentals of these production aspects and product functionality, which will inform what you're looking for—and, importantly—what you can expect from a synthesizer, compressor, delay, reverb, etc. As a catalyst to your own journey, I’ve put together a music software guide below. I’ve surfaced 10 brands, and their corresponding products, that have had major influences on my own production work. Have you found plugins yourself that match our traits above? Software that does something nothing else can do, that democratizes a certain aspect of music production, or that critically improves your workflow? Brands, large or small, that you’ve come to trust? Let us know in the comments. 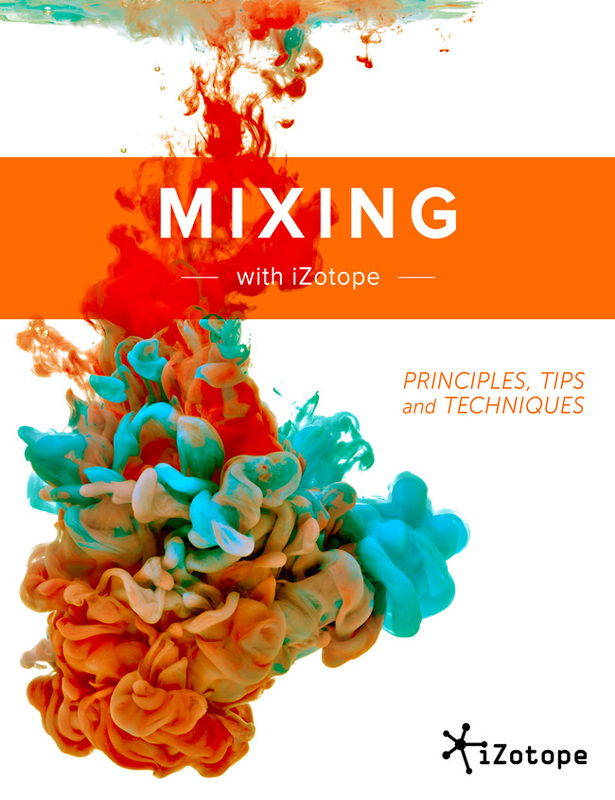 The latest in iZotope’s benchmark mastering suite series. The Mastering Assistant feature really makes this an indispensable tool for turning in professional demos to clients. The most precise equalization tool I have ever used, FabFilter’s unique approach to visualization across all of its products is nothing short of revolutionary. A key component of any professional signal chain, saturation will take the harmonic content of your audio to new levels. As there are many saturation tools out there, this saturation modelling device from Soundtoys is a fundamental sound design tool in all of my work. Part reverb, part delay, part out of this world, this distinct space design tool from effects processing pioneers Eventide is a one-of-a-kind. A peerless processor, this “reverb” is the perfect tool for spatial saturation. A classic processor, this Roland RE-201 Space Echo emulation from the boutique brand AudioThing is full-featured, with all of the unique harmonic distortion characteristics that they have popularized this one-man operation. An extensive offering of processors from their decades-long reign as an industry-leading effects processing powerhouse. The Diamond Bundle from Waves is a staple in any modern studio. The most coveted mastering processor in the last 20 years gets ported over to a plugin. When Softube and Weiss Engineering partnered on this product, they didn’t make just an emulation, they did a line-for-line code transfer, giving you access to a $10,000 tool for less than 5% of that. A fairly new company, Sonarworks has shaken the community up with this simple and effective mixing and monitoring tool. Instead of trying to sell you more things to get that pro sound, Sonarworks flipped the script and created a tool that makes whatever you have to mix with, transparent enough to get a professional polish without any additional gear needed. Although you will need to grab their XREF20 mic to fully realize the potential of this, it’s a nominal price for the value that this product instills. The sixth edition of its instrument suite series, the V Collection from French virtual sonics gurus Arturia features 21 of the most sought-after keyboards and synthesizers from the last half-decade, masterfully modelled with Arturia’s proprietary True Analog Emulation technology and conveniently packaged in one incomparable collection. Developed in partnership with Sonuscore, this Best Service Kontakt library pushes the boundaries of polyphony with its breakthrough Ensemble Engine functionality. I have used this virtual instrument in almost every single orchestral and media composition project in some way or form since I acquired it.